The executives chosen as 2014 Automotive News Europe Eurostars achieved success by exceeding expectations. 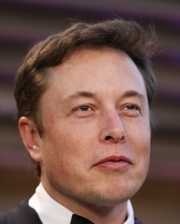 Tesla co-founder and CEO Elon Musk is this year's Eurostar winner for Entrepreneur. For his full profile please click here.